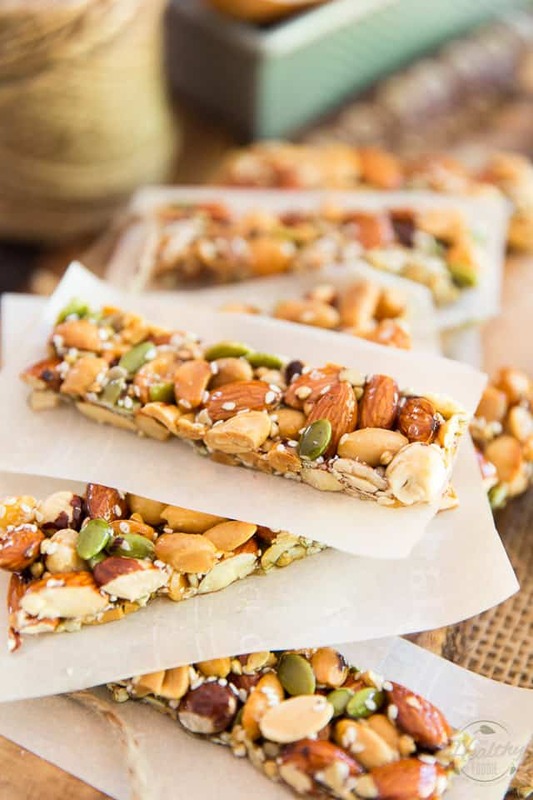 KIND Nut Bars are such a delicious and healthy snack but can be a tad on the pricey side. Let me show you how to easily make your own for a fraction of the price! 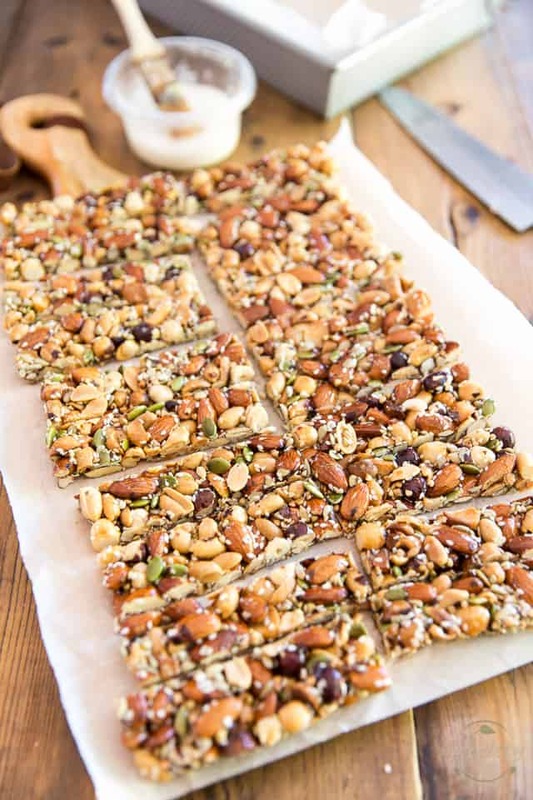 If you love nuts like I do, then chances are you too have a little soft spot for KIND Nut Bars. I mean, they ARE so crazy sticky and sweet and salty and crunchy and deeeeeelicious! And pretty good for you, too! I always thought that they would be just as complicated as they are good to replicate at home. Boy was I wrong. 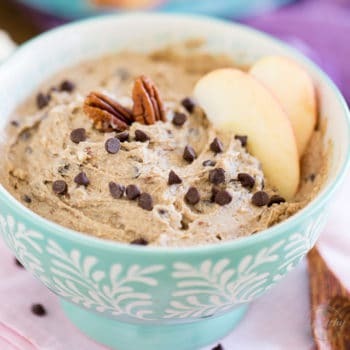 They are in fact totally easy, and surprisingly quick, to make! The only somewhat tricky part would reside in the fact that they are extremely sticky to handle! But, simply make sure that you keep everything they touch lightly greased or oiled and you’ll have no trouble at all! Me, I like to brush everything with a little bit of coconut oil! Not only does it solve the “sticky” problem, but it also adds subtle hints of coconut to the final product! Seriously, I think that once you’ve tried your hand at making a batch of these, you’ll never again spend so much money on the store-bought stuff! 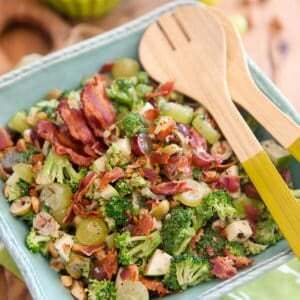 And you’ll probably want to try your hand at making all kinds of substitutions and nut flavor combinations, too! Your first course of action should be to grease and line a 9×13 baking pan with parchment paper, leaving a bit of an overhang on both the long sides for easier removal of the bars, then lightly brush the top of the parchment paper with a little bit of oil or fat of your choice (like I said before, I like to use coconut oil for that). 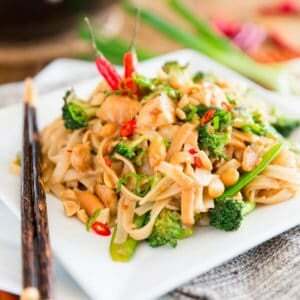 Also lightly brush a second sheet of parchment paper of approximately the same size as your pan and set that aside. 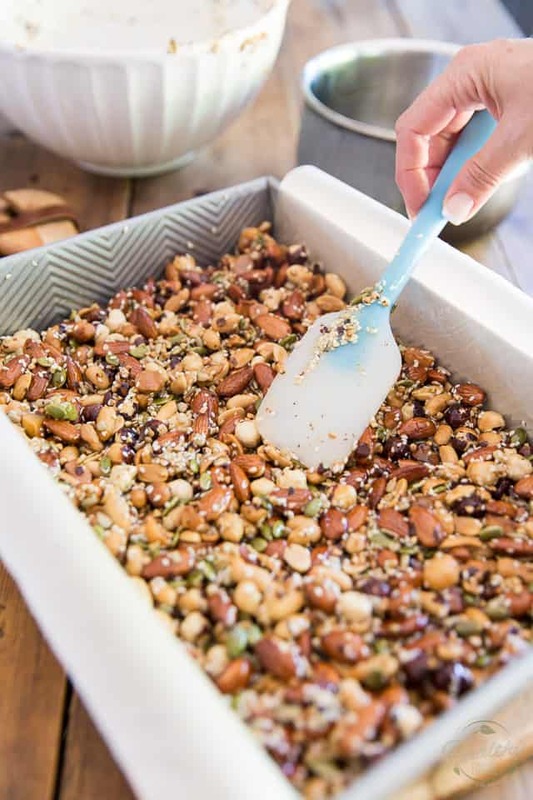 Then, preheat your oven to 350°F and spread the almonds, peanuts, macadamia nuts and hazelnuts onto a large baking sheet; bake the nuts for 7 to 8 minutes, until lightly toasted and fragrant. 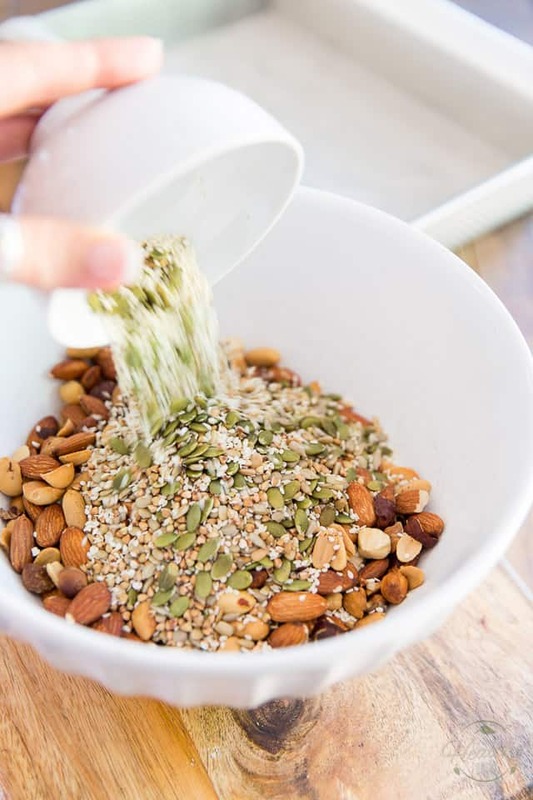 Once toasted, transfer the nuts to a large mixing bowl and add the pumpkin seeds, sunflower seeds, buckwheat groats and sesame seeds. Set aside. 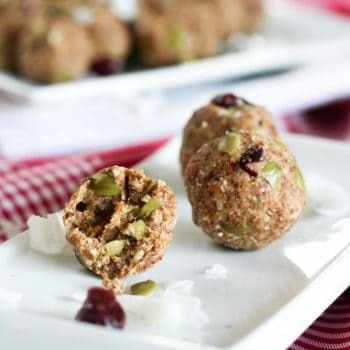 Here again, you could make all kinds of substitutions… Perhaps you prefer to use puffed millet instead of buckwheat groats, or chia seeds instead of sesame seeds. 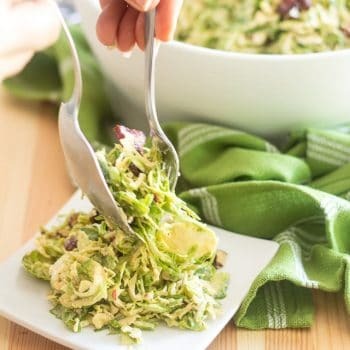 Try shredded coconut instead of pumpkin seeds, or even replace a handful of those seeds by a handful of raisins, or dried cranberries, why not? In a medium saucepan set over medium heat, combine the honey, maple syrup and salt and bring to a boil. Continue boiling until the syrup reaches 260°F (hard ball stage) on a candy thermometer. I’d like to tell you that it’s not so important to use a candy thermometer here, but unfortunately, it’s the only way to insure that the syrup reaches the exact right temperature needed to hold the nuts together and turn them into the sticky deliciousness that they are about to become. So yeah, definitely important, if not imperative to use one! 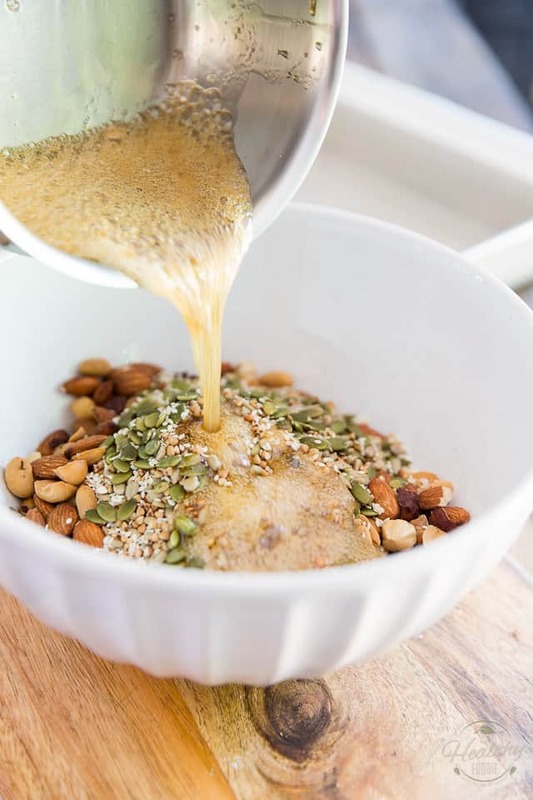 As soon as your syrup has reached the right temperature, immediately pour it over the reserved nuts and promptly stir until well distributed and evenly coated. 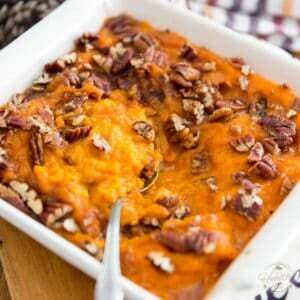 Spread the mixture evenly throughout the pan with a rubber spatula. 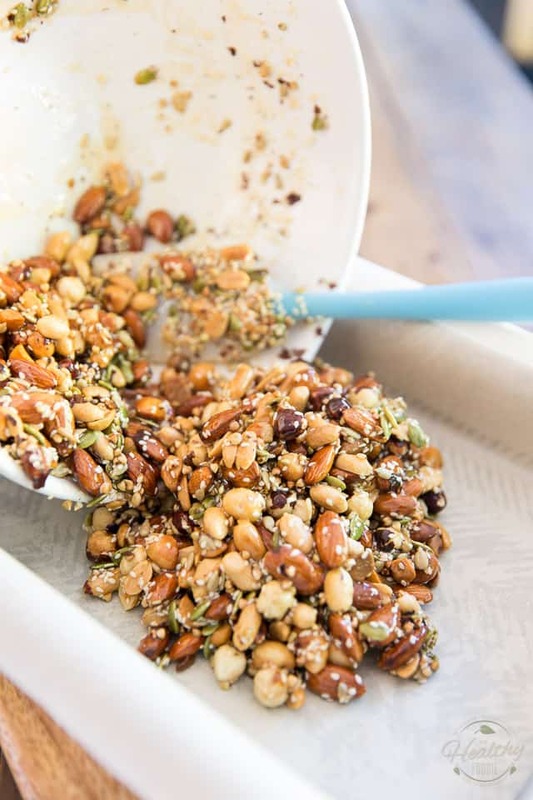 Cover the nuts with the reserved greased sheet of parchment paper (that would be greased side down) and, with the help of a flat object such as flat bottomed drinking glass, press the mixture firmly to close in all the holes and compact those nuts really nice and good. 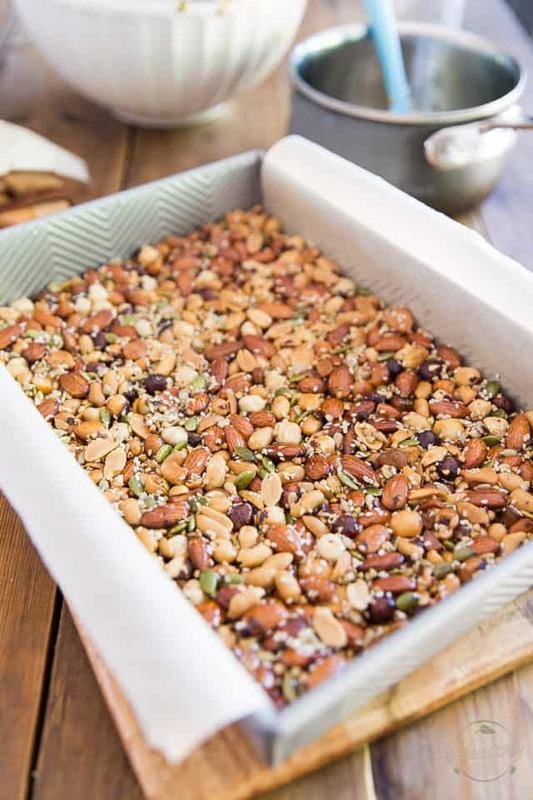 …then carefully lift them out of the pan by pulling gently on the parchment paper and place them on a cutting board. Cut into 20 bars; the best way to go about doing that is to use a good, sharp chef knife and to push it right down into the bars. Don’t use a sawing motion. 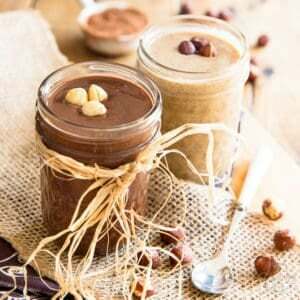 Allow the finished bars to cool completely, then transfer them to an airtight container. To avoid sticking, either place a piece of parchment paper between bars, or wrap them individually in plastic film. 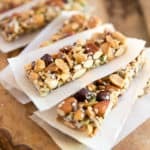 Store your nut bars at room temperature in a cool dry place for soft, sticky bars; they will keep for up to a few weeks. 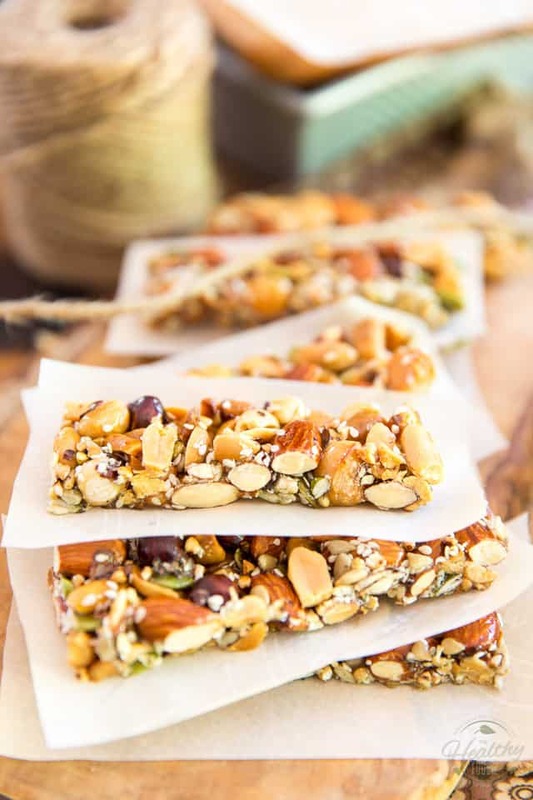 If you prefer your bars to have a brittle, candy-like texture, keep them in the refrigerator where they will keep for longer, too! 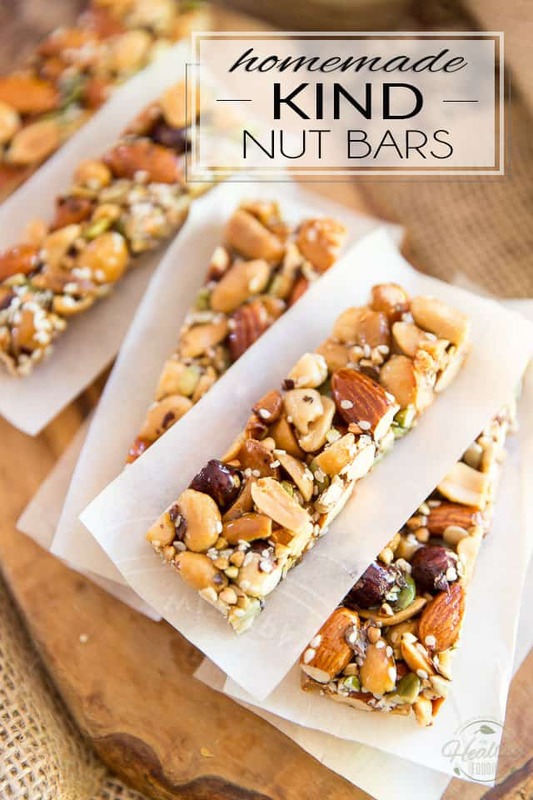 KIND Nut Bars are such a delicious snack but can be a tad on the pricey side. Learn how to easily make your own for a fraction of the price! Grease and line a 9×13 baking pan with parchment paper, leaving a bit of an overhang on both the long sides, then lightly brush the top of the parchment paper with a little bit of oil or fat of your choice (I like to use coconut oil). 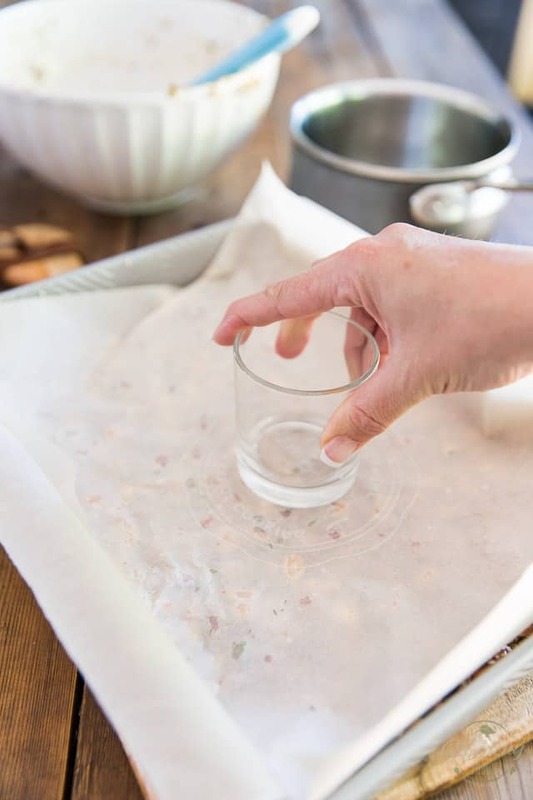 Also lightly brush a second sheet of parchment paper of approximately the same size as your pan and set aside. 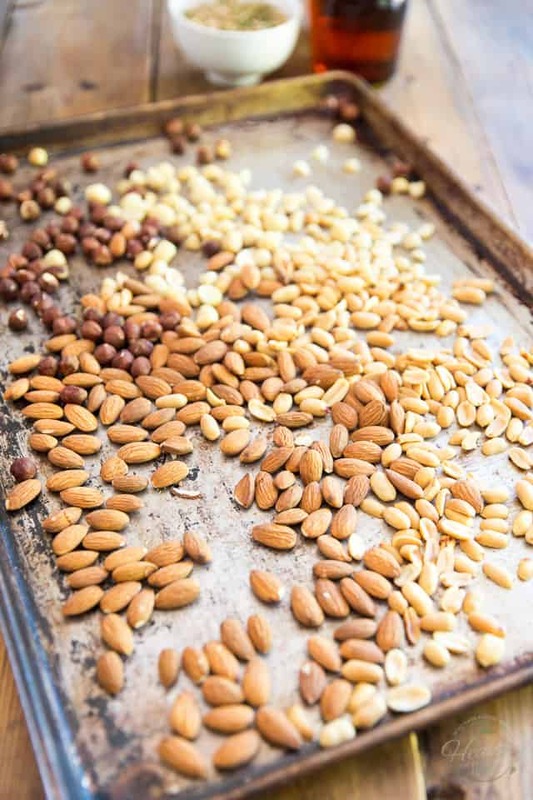 Preheat your oven to 350°F; spread the almonds, peanuts, macadamia nuts and hazelnuts onto a large baking sheet and bake for 7-8 minutes, until lightly toasted and fragrant. In a medium saucepan set over medium heat, combine the honey, maple syrup and salt and bring to a boil. 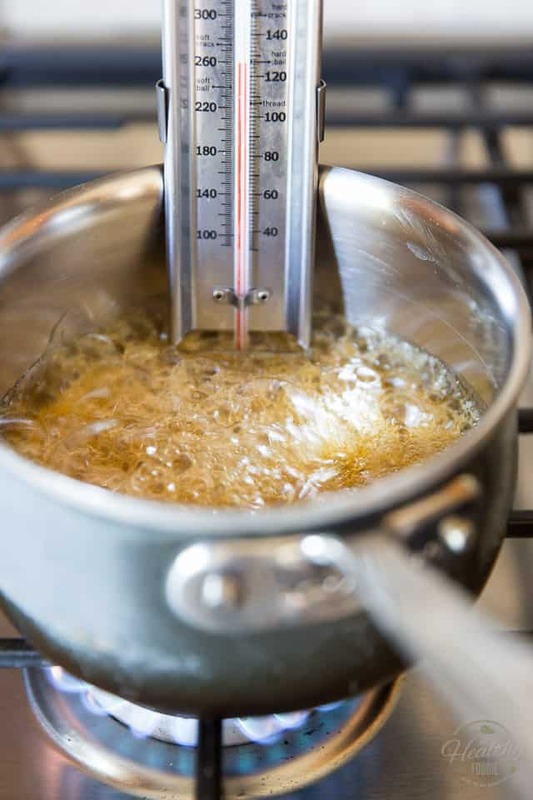 Continue boiling until the syrup reaches 260°F (hard ball stage) on a candy thermometer. Immediately pour the hot syrup over the reserved nuts and promptly stir until well distributed and evenly coated. Quickly transfer the sticky mixture to the prepared pan and spread evenly throughout the pan with a rubber spatula; cover with the greased sheet of parchment paper (greased side down) and, with the help of a flat object such as flat bottomed drinking glass, press the mixture firmly to close in all the holes and compact the nuts really well. Let the bars cool at room temperature for about 20 minutes (they should still be slighly warm and pliable at this point), then carefully lift them out of the pan by pulling gently on the parchment paper; cut into 20 bars. Allow to cool completely, then transfer to airtight container. To avoid sticking, either place a piece of parchment paper between bars, or wrap individually in plastic film. Store at room temperature in a cool dry place for soft, sticky bars. They will keep for up to a few weeks. Can you replace the honey with something more keto friendly? Like lakanto syrup. 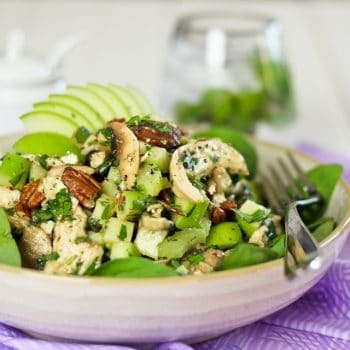 I am looking for the recipe that was posted about a year ago. It wa a seed bar. Not the kind bar. I know there was peanut butter in it. 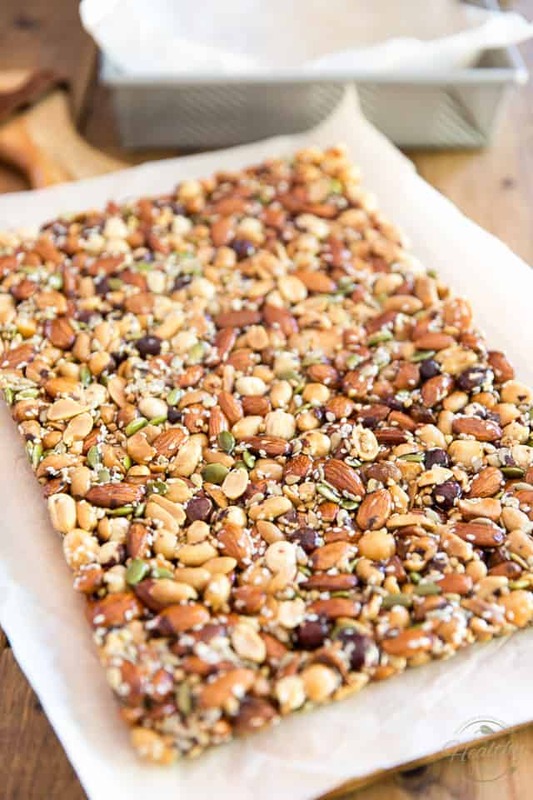 I’ve purchased something similar at a health food store and it was called a birdie bar. I recently purchased your cookbook hoping to see the recipe there. Love your cookbook!!! !